We tend to research any new project extensively before we even put in an offer. 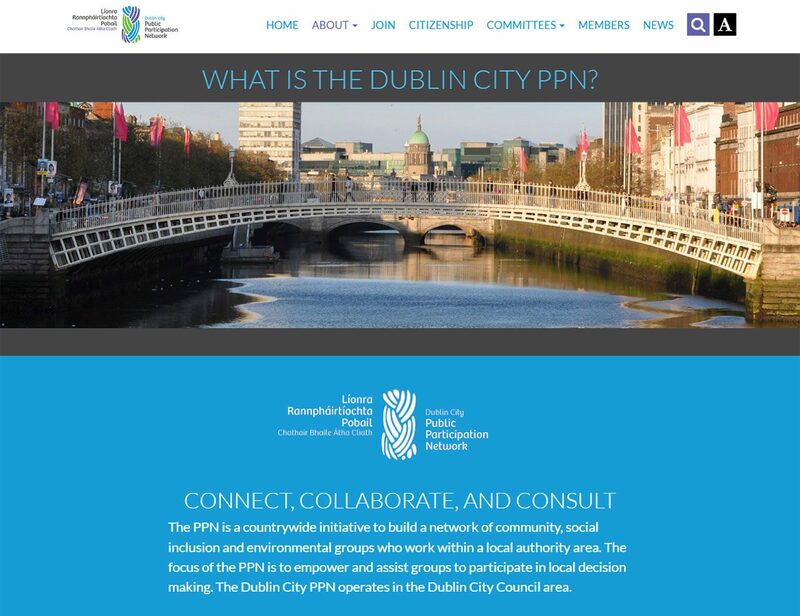 So before presenting our proposal to the Dublin City PPN project stakeholders, we had explored such questions as what functions PPNs have in the democratic inclusion of citizens, how they work in enabling people to directly participate in civil decision making processes, and how they lead to a more involved and empowered citizenry. 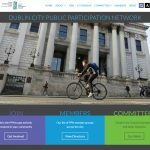 This helped us design a structural solution for the Dublin City PPN right from the start that was geared towards maximising ease of management for the admins of the site, while still firmly keeping the focus on making the site appealing, accessible, and easy to use for interested citizens. For ease of management we decided to use WordPress. The many plugins available allowed us to easily enhance functionality while still keeping the overall budget under control for the client. Also the site admins and editors were familiar with managing WordPress sites, which made it an even more logical choice from a training and retention of knowledge point of view. With that in mind we decided on a custom template for maximum flexibility and customisation options. This also allowed us to control exactly how the site would display on various devices, which, with the trend of more and more browsing happening on smart phones and tablets, was essential. Site managers have the ability to easily add new committee members, elections, announcements, news, and events, and also enhance them with elements like maps, documents, photos, and videos. We also designed the site to be flexible enough to allow it to grow naturally. 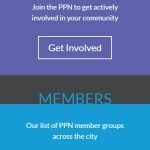 It is easy to add more committees and other areas the PPN might expand into in the coming years. 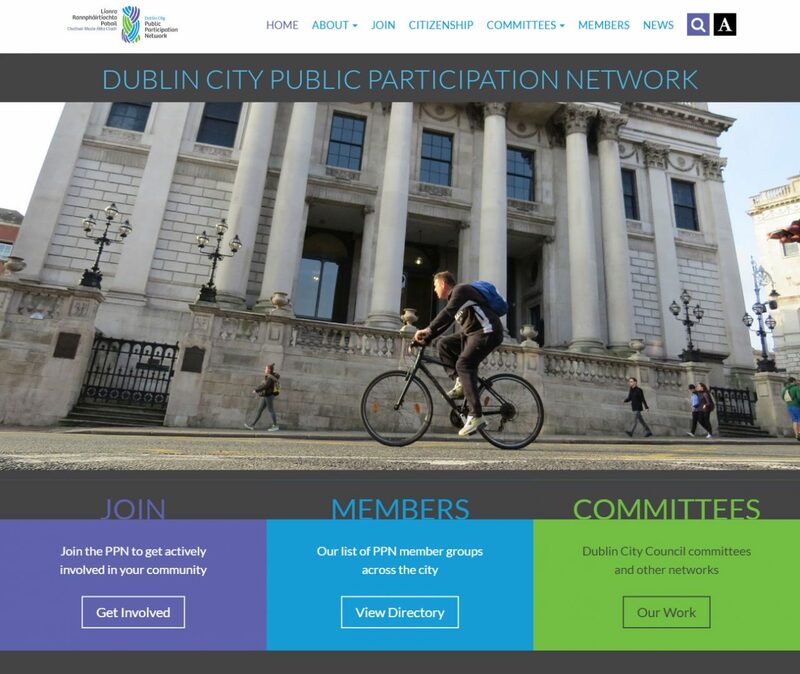 For the citizens we created an attractive site that encourages them to engage with the PPN, find information on events and meetings, and become involved. 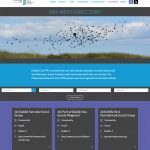 Since one of the goals for the site is to have groups register themselves with the PPN, the “register now” feature is prominent on several pages and never far out of sight. 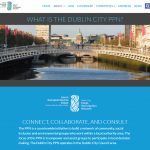 Visually we specifically selected imagery that mirrors the areas that the PPN is involved in, working with the city council to source material from events, projects, and the city. And of course the site is fully functional, usable, and looks great on any device. 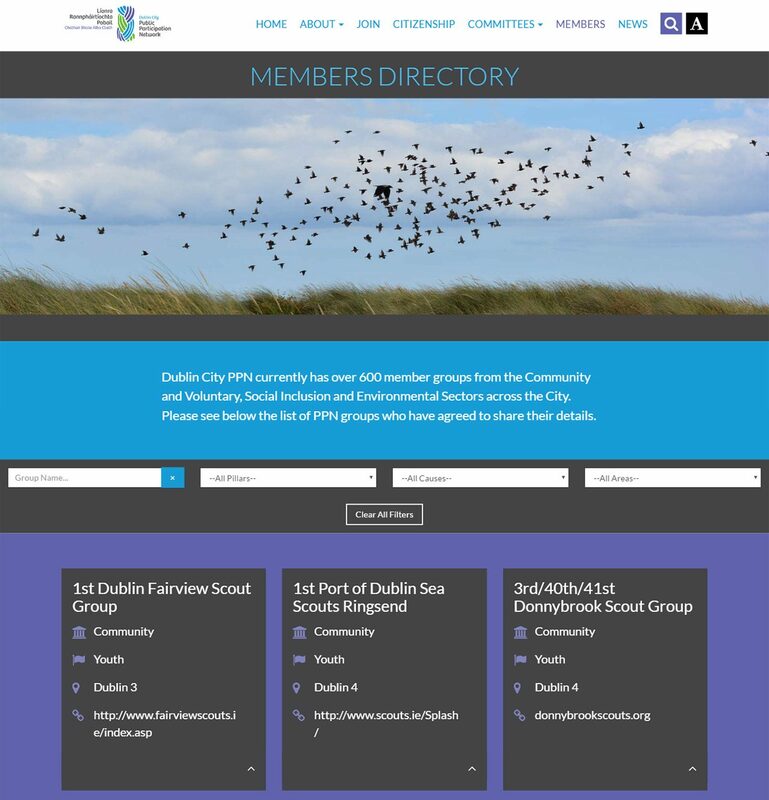 In Phase II we added a Members Directory with data from Salesforce. The directory can be searched on Group Name and filtered by one or more dropdowns (Pillar, Cause, and Area), without refreshing the page.